➡ Helping the lost sheep of Israel to Return to a love for the One True Elohim YHVH, His Torah, their Brother Judah, and the land of Israel! Our leadership, who are scholars and experts with individual experience through their involvement in this Restoration and Reconciliation Process, have all reached the same conclusion. Coming from different fields in life, they discovered that the purpose of God and the main theme of the Bible, is to restore the 12-Tribed Kingdom of Israel as that Entity that God will work through when He establishes His universal rule on earth. This requires that the two greatly divided Houses of Israel, which came about when the Kingdom of Israel was taken away by God from King Solomon 3000 years ago and broken up into two sections, be re-unired. These two sections are frequently referred to in the Bible as “Judah and Israel”. Both Houses in time were banished from the Land of Israel and exiled amongst the nations – but the Promise of God remained as a Challenge, that He would in the End times restore ‘the Fallen Tabernacle of David’. Stephen is a Member of the Stone Council of the Commonwealth of Yisrael, and served as the Moderator at the 2016 Shavuot C.O.Y. Conference in Jerusalem. Today he serves as one of the Founders of the newly constituted Commonwealth of Israel Reconciliation Project, with oversight and responsibility for Ephraim e.g. the House of Israel. The purpose of his organization is to work towards reconciliation between the two divided Houses of Israel. We highly recommend readings from Steven M. Collins and his extensive research and knowledge on the Lost House of Israel which are not really lost but hidden among the nations and prophesied to be regathered and restored in the these last days! Back “In Print” as an e-book! The “Lost” Ten Tribes of Israel…Found, has been out-of-print for a considerable period of time, and many people have asked for copies of it. Due to public demand, this book is now again available for purchase as an e-book, and it is being made available at half the price of the original printed book! Not only is the New Testament’s Messiah a Torah observant Jew as more and more Christians are discovering, but also the entire New Testament is founded on traditional Jewish principles which defy the teachings of popular Christianity. This, acording to the findings of highly accredited anti-missionary, Rabbi Avraham Feld, in his 400-page complete text book of the Greatest Miracle of all Time: the re-erection of the 12-Tribed Kingdom of Israel. 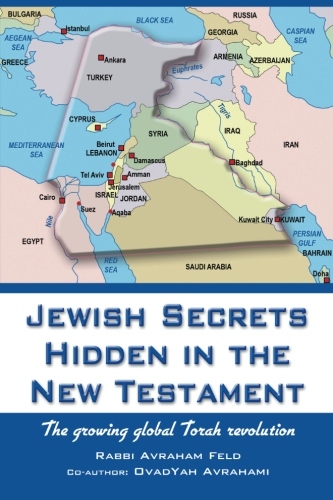 The progressive discovery by New Testament readers of these Jewish secrets, hidden for the last 2000 years, is currently sweeping the world, thereby fulfilling the Biblical Prophecy of the Global Return not only of Jews, but eventually also of the re-identifying Ten Lost Tribes of Israel to a Promised Land with greatly extended borders. 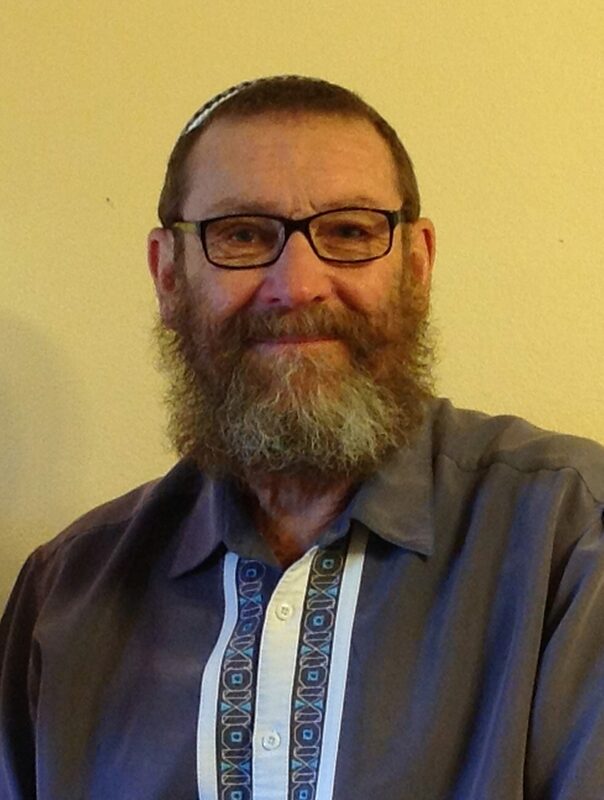 Mark Byrd is a coordinator with the Commonwealth of Israel along with Rabbi Isaac and is organizing the coming Conference about the reconciliation and restoration of the two houses of Israel in Phonix, AZ in February! His ministry calling is to teach through classes the precious foundations of our faith to help people understand what the Bible means when it states that Jew and Gentile will come together as “one new man” and to help build the bridge of love between the descendants of Israel and Judah with, understanding, embracing and healing the nations while also traveling to Israel in small groups. My greatest obsession is and has been for the last 15 years the Two Houses of Israel…and their future reconciliation. For those of you that don’t know about the two houses, here is a thumbnail scenario: After Solomon died, the Kingdom of Israel split into a Northern Kingdom and a Southern Kingdom. Due to various strong differences of opinion (and the involvement of the God of Israel), they stayed split and the Northern Kingdom ended up departing from the Temple and all other activities in Jerusalem. In 721 BCE, Assyria conquered and took the Northern Kingdom into exile — an exile that was extended by the Almighty from the 390 years prophesied by Ezekiel to a sevenfold increased number (2,730 years) by the application of the Levitical punishment. That exile just ended in approximately 2009 — and now descendants of the Northern (and Southern) Kingdom are starting to come to their senses and realize who they are. As a result, efforts are being mounted to bring the two houses back together (essentially Jews and Ephraimites). Abbas’ advisor claims: Islam’s religious war to destroy Israel has started!